Fifteen marketing ideas of 2010 that made us channel our inner Liz Lemon and say, "I want to go to there." It's not like Betty White ever really went away. 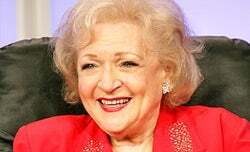 From radio dramas in the 1940s, TV variety shows in the '50s and '60s, a stint on The Mary Tyler Moore Show and, of course, her series-stealing turn as Rose Nylund on The Golden Girls, White has been a staple of popular entertainment since the cathode ray's beginning. But at the age of 88, White found herself in the middle of one of the strangest entertainment stories of 2010--a popular uprising. In early 2010, David Mathews of San Antonio, Texas, launched a Facebook page asking for White to host Saturday Night Live. A successful Super Bowl Snickers commercial in which White takes a particularly brutal tackle, a surprise Golden Girls resurgence and a zany performance in the Sandra Bullock summer rom-com The Proposal all had whetted the public's appetite for White. The Facebook petition picked up several hundred thousand signers within a few months, and SNL producer Lorne Michaels offered White the Mother's Day edition of the show. She signed on, and White's digital dominance was complete. White's performance was edgy and widely praised, and the grandmother with a blue streak finished out 2010 by agreeing to costar in the TV Land sitcom Hot in Cleveland, releasing a calendar and popping up in cameo roles on almost every self-respecting comedy in the fall. The Betty White mania may be winding down, but that doesn't mean she'll ever fade away. "In earlier days she probably had just as many fans," says Robert Lloyd, TV critic for the Los Angeles Times. "But not in the same way we can be a fan now. You can push a button and join a club, and be part of a movement. The thing about Betty White is she belongs to a lot of generations. She's not just a cute old lady. The fact is, she's just funny." 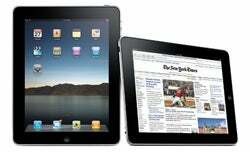 In the build-up to the iPad's release last April, Apple, the media and just about everyone else set their expectations pretty high, with claims that the tablet would change everything. It was never possible that the 3G-enabled tablet was going to make the laptop computer obsolete, save the publishing world, upend traditional marketing and buy everyone a Coke like the evangelizers claimed. But almost a year later, it's hard not to be impressed by the iPad's accomplishments. It became the fastest-selling digital device in history; magazines and newspapers are slowly but surely redesigning themselves for a tablet-based world; and marketers have adopted the machine as fast as their industry will allow. Stefani Germanotta who? Hit albums, viral videos, meat dresses and joy rides with Beyoncé transformed this unknown NYC girl into the queen of pop. "Tablets are a real market that only Apple could have validated," says Eric Lai, mobile blogger for ZDNet. "A flood of Android tablets and RIM PlayBooks will follow, but it's all due to Apple's trailblazing. The iPad has really lived up to its hype--and more." Advertisers are impressed, too. According to a survey last November by Nielsen, iPad users are nearly twice as likely to respond to online ads--as long as the ads are new, interesting and use the unique capabilities of the iPad. The market for the iPad and similar devices and, consequently, their ability to reach consumers, seems set for exponential growth, especially as universities, large businesses and government agencies begin figuring out how to use the tablets in their daily routines. "Apple just knows how to cater to the technophile early-adopting consumer," Lai says. "And now that the balance of power has shifted away from the IT department toward the end user, these consumers are forcing enterprises to support and deploy iPads." Among the many gripes travelers have with airlines, the number one bugaboo is customer service. Weaving our way through labyrinthine phone menus and sending e-mails off into the ether with no guarantee of a reply is the modus operandi for most carriers. 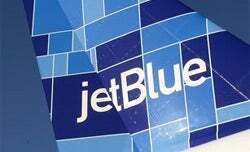 But jetBlue, the low-cost carrier that has been slowly expanding across the country since 1999, decided in 2007 that it would be all about transparency and communication--an idea that led the company to set up a 24/7 Twitter account to answer customer questions and deal with complaints. It's a friendly, wide-ranging back-and-forth banter that covers everything from passengers onboard complaining about delays to people asking which NFL team jetBlue roots for. So far, the @JetBlue Twitter feed has collected 1.6 million followers, along with 150,000 more for its cheap deals feed and more than 440,000 friends on Facebook. "When we first started, it was just me not sleeping a whole lot," says Morgan Johnston, the only guy fielding the questions at jetBlue when tweeting first began. Now a social media team of 17 supports Johnston, manager of corporate communications. JetBlue initially tried mainly to advertise deals on Twitter, he says, but that strategy fell flat. "So we asked our customers what they wanted to hear. And we listened. That's how we built our following," he says. Not only has that following helped engender brand loyalty and trust, it also helped when crisis hit. When flight attendant Steven Slater cursed out passengers on the tarmac at Kennedy International Airport in New York before grabbing a couple of beers and exiting the aircraft via the evacuation slide, jetBlue took a few days before deciding on an appropriate response. "We understood our reputation for being transparent, and it would have been the wrong action to try and ignore it," Johnston says. Instead, the company came out with a short, tasteful and funny blog post mentioning the movie Office Space and praising its 2,300 other flight crew members who didn't wig out. The first comment posted sums up the general reaction: "I love you jetBlue." Smartphones were pretty revolutionary when they first came out, but experts agree they were missing one key thing--testy little birds willing to fling themselves into concrete walls to destroy smirking green pigs. Since Finland-based Rovio released the Angry Birds game in December 2009, 36 million gamers have downloaded the cute time-sink. Despite a brief partnership with publisher Chillingo at the app's release, Angry Birds has reached its dominance with a marketing budget close to zero. "It really is intended for everybody. It's easy to pick up and start playing, even if you've never played any games before," says Ville Heijari, Rovio's vice president of public relations, explaining why the game has become so popular. "Not to forget the unique characters, wacky sound design and the seemingly absurd plotline. It really is the total sum of all its parts that makes it a great game." You know you've made it big when your awkward infomercials inspire an SNL parody. Rovio is hoping 2010 was just the first of many years for its birds. 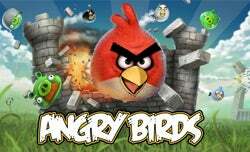 This spring, the company plans to roll out Angry Birds versions for Facebook and the web, and it also hopes to launch versions for Xbox 360, Wii and PS3. Merchandising of the game's cute birdies and pigs is underway with a plush toy collection, and rumors have been swirling that Angry Birds may get a feature film treatment as well. In all, Rovio hopes that by the summer, the birds will reach 100 million players, both on and off the phone. "Consider the Angry Birds like other loved characters, such as Mario," Heijari says. "There's a lot more to the story of Angry Birds than has been seen yet, and infinite possibilities for storytelling." The only way to describe the departure of late-night host Conan O'Brien from NBC's The Tonight Show is this: messy. After seven months at the helm of the television show made legendary by Steve Allen, Jack Paar and Johnny Carson, O'Brien was given the choice to either move the show to a half hour later to make room for the return of Jay Leno, whose 10 p.m. experiment was a flop, or to hit the road. O'Brien decided that, instead of cheapening the Tonight Show brand by moving it later, he'd leave--taking with him $33 million and the status as a beloved underdog. Though barred from discussing the debacle until last May or returning to television until last fall, O'Brien parlayed his troubles into marketing gold. Within 24 hours of launching his Twitter feed in February, he had more than 300,000 followers. His two-month "The Legally Prohibited From Being Funny on Television" tour launched in April and sold out quickly. Also in April, Conan told the world that he had signed on to begin a new late-night show on TBS starting in November. Whether his TBS show will capture his old audience remains to be seen, but O'Brien's antics off the small screen were masterful. "The important thing is he came out of this debacle looking like a folk hero, with a larger stature," says Troy Patterson, television critic for Slate.com and film critic at Spin. "He got to be an underdog that played into his persona as a gawky, aw-shucks type of guy." The marketing for O'Brien's TBS show was equally inspired: His new logo simply played on the shock of red hair that has been his trademark since his television debut along with the name Team Coco. An orange blimp emblazoned with the word CONAN even traveled the East Coast, checking into Foursquare locations to advertise the show. 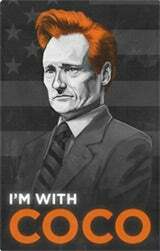 All that had most of the country repeating the mantra spread by one of Conan's grassroots supporters: "I'm with Coco." When actor Isaiah Mustafa appeared as the "Old Spice Man" during last year's Super Bowl, the handsome towel-clad actor inaugurated the most creative advertising campaign of the year. But there was more to the spots spearheaded by ad agency Wieden + Kennedy. In July, Mustafa and a crew of social media experts and production folks began creating and posting YouTube videos of the Old Spice Man answering real questions from the public. Over three days, Mustafa weighed in with 186 videos, advising everyone from Alyssa Milano to George Stephanopoulos. In all, the back and forth generated 34 million YouTube views in a week as well as countless mentions in Facebook, Twitter and the mainstream press. For years Domino's has been the pizza world's cleanup act. Its low cost and late hours appealed to after-hours partyers and college students. Anyone who cares how their pizza actually tastes abandoned the brand long ago. So when the company began acknowledging its status in the pizza pecking order in ads released early last year, the honesty was a shock. After reworking its recipe, Domino's head chef brought the new pizzas to the homes of its harshest focus-group critics, where the new pies made their debut. Not only did the ads make customers sit up and listen, they also made them want to try the pizzas for themselves. 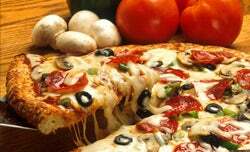 In the first quarter of 2010, sales jumped 14 percent, and Domino's has recorded 11 percent to 12 percent growth each quarter since. OMG: a walk-in fridge full of Heinekens! Heineken's "Walk-in fridge" ad--in which a group of women goes nuts over their friend's walk-in closet, only to hear their husbands and boyfriends in the next room losing their minds over a walk-in refrigerator stocked with Heineken beer--garnered more than 4 million views on YouTube, not to mention the millions of impressions the ad made on the regular tube. But instead of sitting back and waiting for their Clio, the ad company went guerilla. Soon after the ad's launch, groups of young men were spotted throughout Amsterdam trying to push giant cardboard boxes labeled "Walk-in fridge" into apartments and houses. But Heineken's marketing coup de grâce last year was a video of a 2009 prank pulled on Champions League fans. That October, Heineken had enlisted wives, girlfriends, bosses and professors to sucker 1,136 Italian football fanatics in Milan into skipping the biggest match of the year--AC Milan vs. Real Madrid--to attend a classical music and poetry recital. It recorded the forlorn men as they filed into the auditorium--then, 15 minutes into the unbearable concert, the game appeared on the screen. We're assuming they all got walk-in fridges as consolation prizes. Groupon, a web company whose name is a mashup of "group" and "coupon," introduced the world to its concept in late 2008. More than two years later, it's one of the marketing world's breakout stars. The concept is simple: In each of Groupon's 150 North American and 100 international markets, a local deal is offered, say 50 percent off muffins at a bakery. If enough people sign up for the deal, it goes live and is available to everyone. The merchant drives traffic to the store, and Groupon takes a cut. $11 million in one day. At press time, it was rumored that Groupon had rebuffed a $5 billion buyout offer from Google. That would have been quite a deal. 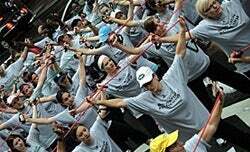 Sheraton: Record set for largest resistance-band strength-training class. In the past three years, Guinness has seen world-record attempts spike 250 percent, but it's not because of crazy individuals growing out their fingernails or holding their breath. Instead, it's corporations trying to bring attention to their brands. In 2009, Supercuts set the record for the most haircuts in a day (349). Last year, Sheraton Hotels & Resorts promoted a $120 million upgrade of its fitness facilities with a world-record resistance-band strength-training class (270 people). In November, Nike employees from around the world traveled to Las Vegas to break the record for the largest gathering of Elvis impersonators (645). Those records may be a far cry from the most lightning strikes survived (7), but they're equally entertaining. In the middle of Union Square in Manhattan last July, Unicef, the United Nation's Children's Fund, set up a bottled-water vending machine. But instead of spring-fed H2O, the machine offered murky bottles labeled dysentery, cholera, dengue and malaria. The stunt was designed to call attention to the 4,200 children who die each day of water-borne diseases. 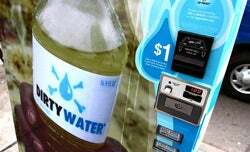 No one actually drank the water, but the machine did accept donations, and the viral video featuring the stunt reached several hundred thousand people. Not bad for a video without Justin Bieber. Volkswagen's Fun Theory claims its mission is to inspire people to do good--and smile at the same time. The carmaker is behind the installation of slides and Big-inspired keyboards on subway steps--viral videos from years past. But its mission for 2010 was finding a fun way to make drivers obey the speed limit. 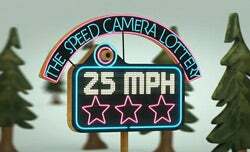 After sifting through hundreds of entries, it chose The Speed Camera Lottery. In cooperation with Swedish authorities, it rigged a camera to photograph all the license plates that went by. Speeding drivers were fined, with the money going into a pot. Drivers who obeyed the speed limit were eligible to win the pot. The experiment got drivers to drop their speed 22 percent--but, most of all, it gave Volkswagen another viral hit. In an age where marketing seems to revolve around page views, retweets and audience share, a trend as old as, well, signs is making a mark. Sign spinning is a mashup of juggling, performance art and old-fashioned pavement pounding, and it is showing up at grand openings and special events around the country, bringing in foot traffic and attracting crowds. The driving force and self-proclaimed inventors of sign spinning is AArrow Advertising, a San Diego-based franchise that has locations in 18 states, fielding an army of young spinners nationwide. And they're making waves off the street too. YouTube is full of sign-spinning videos, Ellen DeGeneres has featured sign spinners on her show, and spinners were in FX Network and Ford commercials. In late 2009, Kraft's Miracle Whip began airing a spot showing hip twenty-somethings laughing and dancing around a pool on an urban rooftop while smearing their sandwiches with the distinctly unhip dressing. The monotone taglines, "Don't Be So Mayo" and "We Are Miracle Whip, and We Will Not Tone It Down," were youth-pandering at its worst, enough that Stephen Colbert ran a parody of the commercial, throwing his support behind regular mayonnaise on his Comedy Central show. 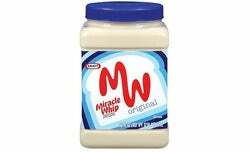 But instead of taking it on the chin, Miracle Whip bought airtime during Colbert's show, running its rooftop ad with new voice-overs calling Colbert "So mayo," making fun of the silent "t" in his name and inviting him to the rooftop to dance. 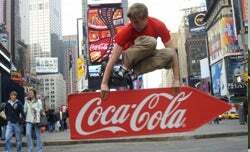 The stunt turned a marketing flop into a publicity juggernaut and icon of customer engagement. If you watched television in 2010, you were smacked in the face by the Garden State's bombardment of pop culture. At its height last October, MTV's "reality" show Jersey Shore boasted 6.7 million viewers, but its stars invaded more than the beach. Nicole "Snooki" Polizzi, Mike "The Situation" Sorrentino and DJ Pauly D have parlayed their MTV hit into a minor media empire, creating workout videos, appearing on late-night talk shows, scoring endorsement deals for vodka, bronzer and pistachios--even writing a novel and getting a gig on Dancing With the Stars. Other Jersey-based shows, including Bravo's The Real Housewives of New Jersey and the Style Network's Jerseylicious, a reality show about a salon in Green Brook, have kept the state's big hair and spray tans in the spotlight--despite Gov. Chris Christie's lament that Jersey Shore doesn't fairly represent his state. But locals don't seem to mind. According to the Seaside Heights Business Improvement District, the "gym, tan, laundry" lifestyle has boosted local revenues 38 percent in just one year.